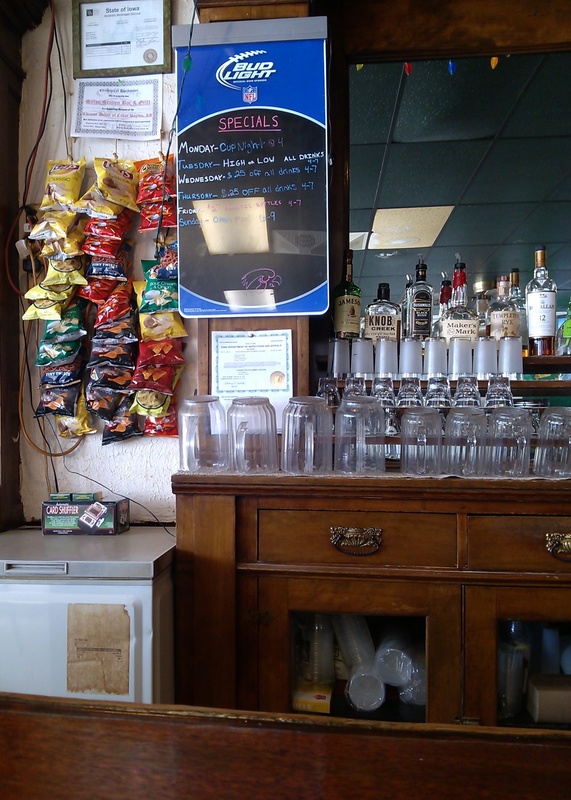 SOLON— Solon Station is a place to grab the special and go when on Main Street at lunch time. 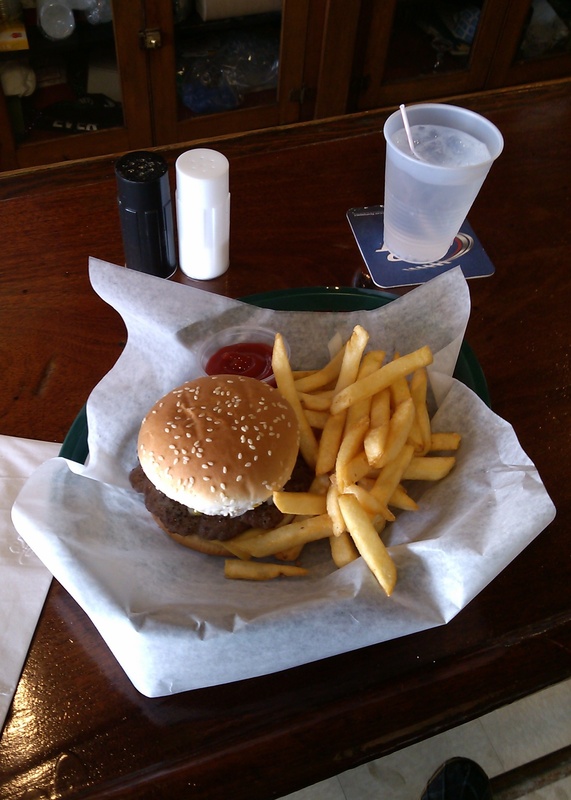 At 1:40 p.m. they were still serving— a cheeseburger basket for $6. I took a seat at the worn wooden bar and checked in on my mobile phone while waiting for the bartender/cook to prepare my plate. Pub grub is about our local culture and Solon Station typifies the genre. It is industrial food service fare, cooked fresh, and served up with one’s favorite beverage. The menu is a limited selection of appetizers, sandwiches and pizza. There is a Sam Adams sandwich sign featuring the daily special, which in good weather can be found outside on the sidewalk. I asked the bartender whether the increased competition for food and beverages on Main Street was affecting business. She said they were doing okay. Neighborhood bars are a place where the idea of fun is “cold beer on a Friday night. A pair of jeans that fit just right. And the radio on.” Solon Station is a place to go for karaoke, buckets of beer, cup nights, and when one needs a break from the fam. Check out their Facebook page for more reasons to visit. According to the bartender, the back bar is the original and is lined with bottles of popular spirits like Templeton Rye, Patrón, Jameson, Tanqueray, Stolichnaya and Maker’s Mark. Nothing too fancy here. 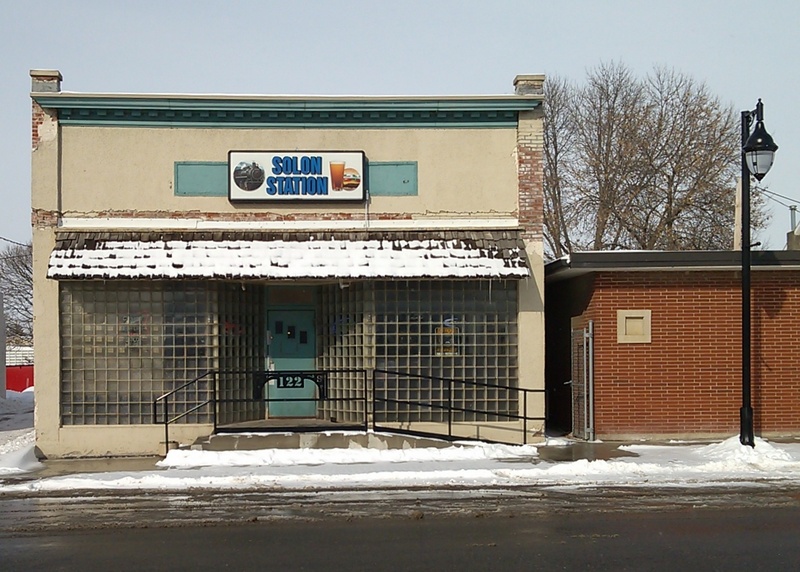 Solon Station is an example of what remains of neighborhood bars in the area. Sunlight illuminates an alcove near the entryway— the place to hold a meeting, or play cards on a slow afternoon. It is reminiscent of small bars and restaurants more likely to be found in Europe than a bedroom community like Solon. 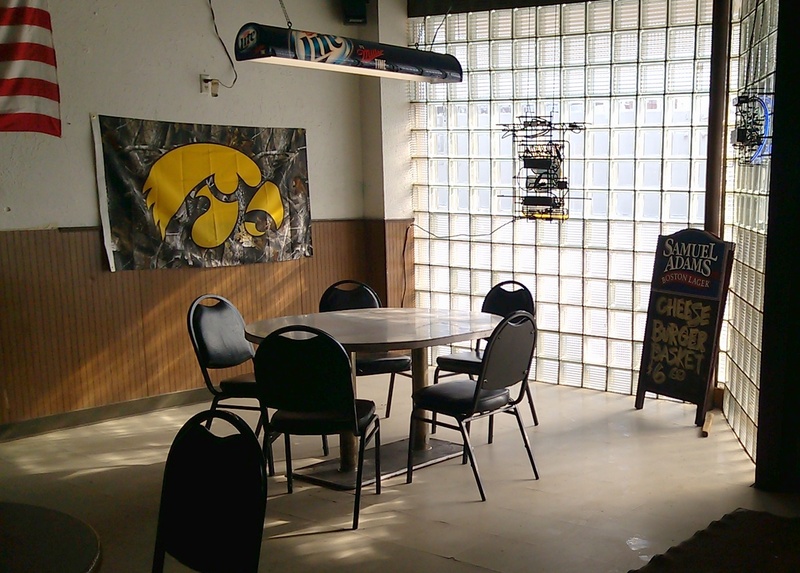 As the saying goes, “come visit Solon Station for great service, cold drinks and hamburgers so good, you’ll become addicted.” In more than twenty years of living outside of town, I haven’t made many trips to a bar. After yesterday’s visit, Solon Station may be a more frequent stop on this native Iowan’s itinerary. This entry was posted in Local Food and tagged Restaurant Crawl, restaurants. Bookmark the permalink.